Still sorting out Labor Day weekend plans for the South Bay? Well, we have a few ideas for some family fun! On Friday, August 30, there will be a movie screening in Alta Vista Park beginning at 7:30 p.m. but get there early, spots fill up fast! The park will be transformed into an outdoor theater featuring the movie Swing Time, a family-friendly classic starring Fred Astaire and Ginger Rogers. This free event is located at 715 Julia Street in Redondo Beach. 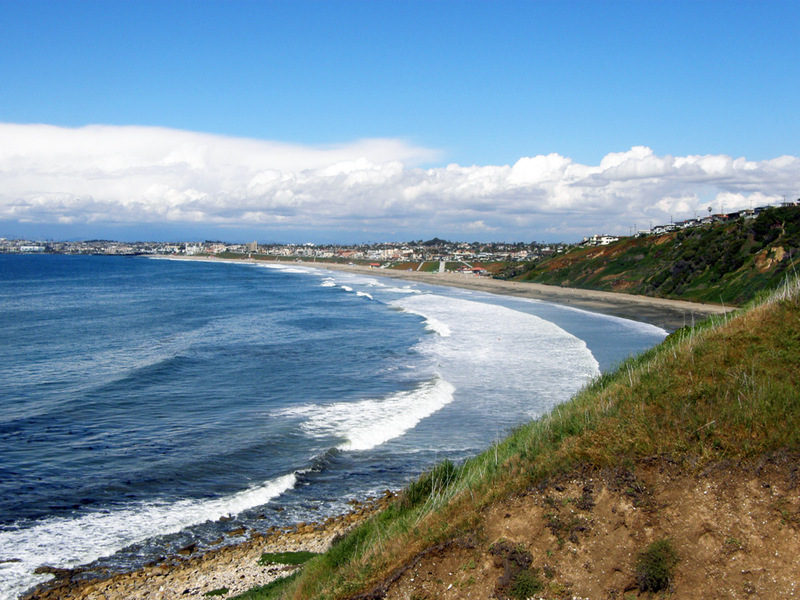 If you’re looking for a more adventurous activity, then the Manhattan Beach Hike is for you! On Sunday, September 1, all from the South Bay community is welcome to hike the streets and trails of Manhattan Beach together. This two hour, 4-5 mile hike for all ages and fitness levels begins at 9 a.m. Just meet up at 1901 Valley Drive under the giant oak tree by the tennis courts in M.B. Be sure to bring water, walking shoes, and sunscreen! From all of us here at Farmstand, we wish you a happy and safe Labor Day weekend! Tags: activities, california, el segundo, labor day, south bay | Permalink. Coconut oil seems to have sprung out of nowhere recently but it has always been around. It has been recognized recently for its numerous health benefits and endless household uses. At Farmstand, we love to live a healthy lifestyle and believe coconut oil is something everyone should keep in their pantry by the tubful! From beauty to baking, you can find an excuse to use coconut oil for almost anything. Coconut oil is great for cooking because it has such a high smoke point, so you can use to seer or fry anything you desire. It’s also a great, healthy alternative to mayo in sandwiches and salad dressings. You can also add it to a smoothie for an energy boost or help with digestion. Coconut oil is a great substitute for Crisco, butter, or oil in baking recipes like cookies or brownies. For a sweet treat, we like to slice some apples and sauteé them in spoonful of coconut oil. Delicious! You can also use coconut oil cosmetically, as it is great as a facial or body moisturizer and even acts as a natural SPF of 4. It also prevents and fades dark spots on the skin and stretch marks. You can also use it as a makeup remover or intensive treatment for dry, frizzy hair. If you cut or scrape yourself, just add some coconut oil, it helps kill bacteria and heals the wound faster. 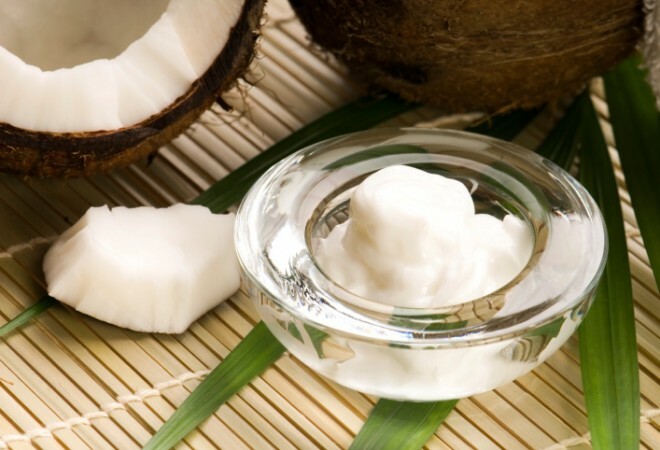 These are just a few of coconut oil’s uses to help you live a better, healthier life. Now, go out and get jar! Tags: Baking, beauty, coconut oil, cooking, health, multipurpose | Permalink. 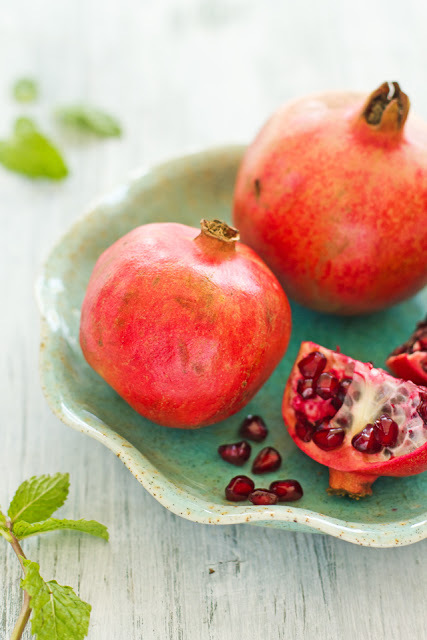 We love the pomegranate for many reasons. It’s colorful, exotic, and chock full of antioxidants. So naturally, we should try to incorporate into as many dishes as possible. That’s why pomegranate molasses is one of our favorite ingredients. It’s delicious with our grass fed Urban Lamb Shank along with a number of different dishes. It’s great drizzled over roasted chicken, vanilla bean ice cream, or in a simple vinaigrette. It’s even delicious in a gin and tonic or some fizzy champagne. Pomegranate molasses is easy to make at home as well! Place all of the ingredients in a large saucepan on medium-high heat, stirring occasionally until the sugar is dissolved. Then, reduce the heat to medium and let simmer for about seventy minutes until is has reached a thick, molasses-like consistency. Let cool and place in an airtight jar. The molasses will last about six months in the fridge. Pomegranate molasses can turn any boring meal into an antioxidant-rich and sweet treat! Tags: Cook, farmstandelsegundo, Home, Molasses, Pomegranate, Pomegranate juice | Permalink. 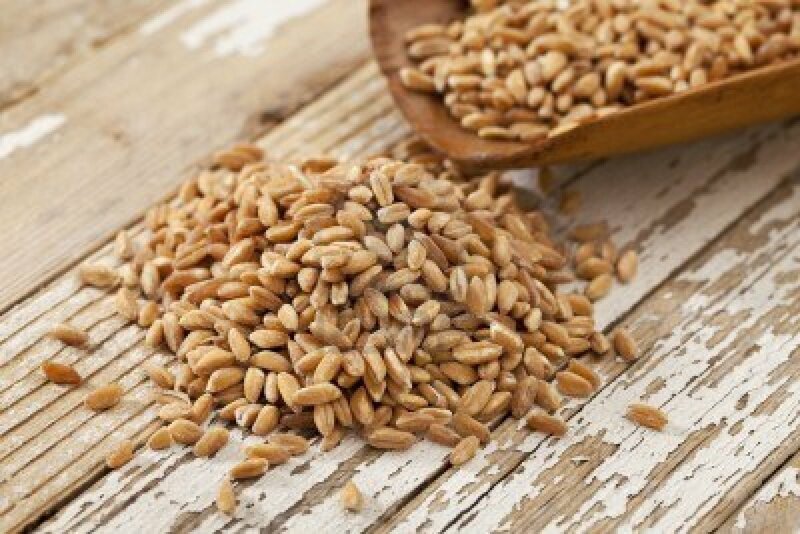 Farro may seem like an “up-and-coming” and trendy food but this nutty grain is actually a historical one, dating back to ancient Roman times. Why the sudden farro “movement”? Could be that it is a great alternative for those with gluten sensitivities and is found to aid in lowering cholesterol. So what are some good ways to prepare farro? The simple answer is: there really is no wrong way to eat the brown rice-like, nutty grain. Farro is firm and chewy, making it a great replacement or substitute for pasta or rice. So from breakfast to side dishes, there is no wrong time or place to enjoy farro. Speaking of side dishes, farro is delicious prepared following package instructions, drained with olive oil, sea salt and pepper. Another appetizing side idea is to add some kale or collard greens and let the steam of the farro gently cook the greens. Farro, again, is a great substitute for pasta or rice so it is great in most soups and salads for added heartiness. We love to add some fresh mozzarella and chopped tomatoes to room temperature farro for a quick and delicious meal. Another quick meal idea is to add any sauce of your choice to farro. We like pesto or marinara but you can get as creative as you’d like. Farro is also great for breakfast! Mix with cinnamon and raisins or add milk and honey for a filling start to your day! Bottom line here is: farro is great for practically any meal, is virtually foolproof, and it has tremendous health benefits which is why it is one of our favorite foods! When in doubt, use potatoes! These starchy veggies seem to go perfectly with any dish, especially since they come in so many varieties. So, from appetizers to side dishes, we are here to help you break down what method of cooking it best suited for which kind of potato! First is the russet potato, which is probably the most commonly used potato on the market. This is because they bake, fry, mash, and roast like a dream. Baked russet potatoes are great as an appetizer, side dish, or even main dish if you add enough toppings! We like broccoli, ham or bacon, scallions, and sour cream of course. Next is red potatoes, which are great for roasting with some olive oil and rosemary. Red potatoes also go great in potato salad and soups. Purple, or blue, potatoes are not seen as often in the culinary world as the aforementioned varieties. This may be because they look intimidating to some with their bright hue. However, this underdog of the potato world is great for roasting, baking, and even grilling. Last, but certainly not least, is the sweet potato. Gone are the days where sweet potato is synonymous with Thanksgiving. With many discovering their numerous health benefits, the sweet potato is being seen more and more often. They are usually seen as a healthy french fry alternative, being baked instead of fried. But sweet potatoes are also great baked and in soups. Now that you’re a potato expert, get out there and experiment with some new varieties. Who knows? You may discover a new favorite! PS. Oh and…..all potatoes are a good source of vitamin B6, vitamin C, copper, potassium, manganese, and dietary fiber. 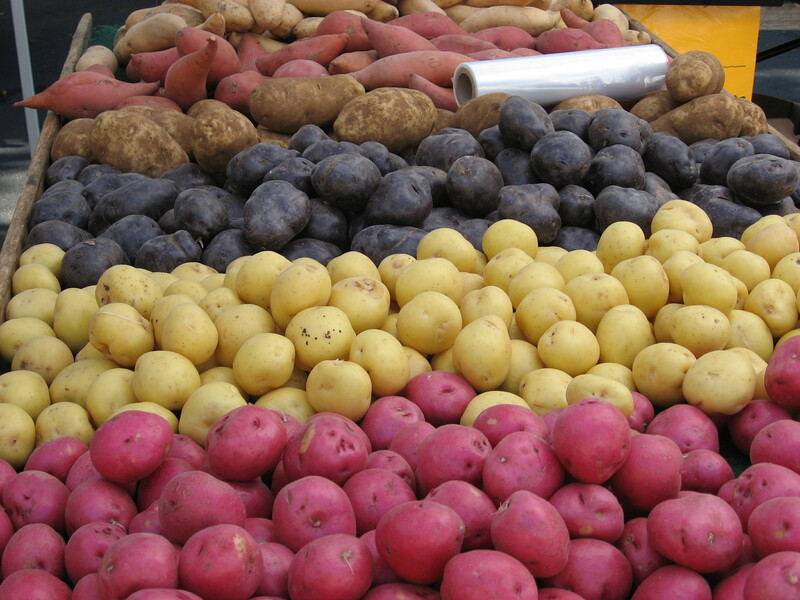 Potatoes also contain a variety of phytonutrients that have antioxidant activity! Tags: Cook, farmstandelsegundo, French fries, Fruit and Vegetable, Home, Potato, Potatoes, Side dish, Sweet potato | Permalink.